Andrea is the PFP/Club Industry 2019 Personal Trainer of the Year. Since 1992 Andrea has been certified as a Corrective Exercise Specialist and Performance Enhancement Specialist by The National Academy of Sports Medicine (NASM), as a Personal Trainer by The American College of Sports Medicine (ACSM), the National Academy of Sports Medicine (NASM), and the American Council on Exercise (ACE), as a Special Populations Expert by The Cooper Institute. She is also a continuing education provider for ACE, AFAA, CPTN, ISSA, NASM, NFPT, PTAG, and W.I.T.S. Andrea is also a subject matter expert for the National Federation of Personal Trainers (NFPT) and chairperson for the Medical Fitness Foundation Education Advisory Board and on the advisory board for the MedFit Network . Andrea is a 35 year cancer survivor and has/had 23 first-degree relatives diagnosed with cancer. In 2015 she lost her father, Morton, to complications of bladder cancer and prostate cancer, and myelodysplastic syndrome. Her mother is currently fighting stage 4 metastatic breast cancer after a 23-year remission. At the age of eighteen, Andrea was diagnosed with thyroid cancer and underwent a complete thyroidectomy and radioactive iodine treatment. Following her surgery, Andrea was challenged with a new, sluggish metabolism, and weight gain. It was through her own personal struggles to regain her previous energy level and physique that Andrea decided to become a personal trainer. She wanted to be able to help others, like herself, who struggled with the same issues of weight gain and poor self-esteem. Andrea graduated from the University of MD in 1990 with a degree in Criminal Justice, but quickly realized that she was in the wrong profession. She avidly pursued a career as a personal trainer. Andrea began training in 1992 and worked at the National Capital YMCA in Washington, D.C. She quickly worked her way up to Director of Personal Training and ran the department for several years. While working at the YMCA, Andrea started Leading Edge Fitness and EMPOWER- Energizing, Mobilizing, Post-Operative Workout Enhancing Recovery. While training the “movers and shakers” on Capitol Hill, Andrea’s mom was diagnosed, for the second time, with breast cancer. She watched her mother struggle through the trauma of multiple surgeries, reconstruction, a frozen shoulder, and addiction to narcotics in order to cope with the pain associated with her surgeries. Inspired by her mother, Andrea, along with a medical advisory board from Washington D.C.’s premier medical centers, set out to write “Essential Exercises for Breast Cancer Survivors.” The goal was to help the millions of men and women, like her mother, to gain back their strength, range of motion, and self-esteem (among other things), following breast cancer surgery and treatment. The book was published by Harvard Common Press in 2000. Shortly thereafter, Andrea founded The Breast Cancer Survivor’s Foundation, a 501c3 public charity—to better the lives of cancer survivors and their families. 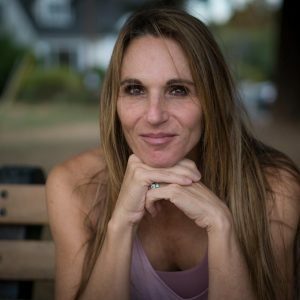 Realizing that she is limited to helping a certain number of clients per week, Andrea founded The Cancer Exercise Training Institute in 2004 and developed the Cancer Exercise Specialist® and Breast Cancer Recovery BOSU(R) Specialist™ Advanced Qualifications for health and fitness professionals. Through this program she has been able to pass on her wealth of knowledge, and enable health and fitness professionals around the world, to work safely and confidently with cancer patients. Through CETI’s Advanced Qualification live workshops and home study, participants learn about twenty-five types of cancer and pediatrics, their surgeries, treatments, lymphedema identification, prevention, and treatment, reconstructive procedures, contraindications, side-effects and so much more. Following a comprehensive examination, attendees are awarded the Cancer Exercise Specialist® and/or Breast Cancer Recovery BOSU(R) Specialist ™Advanced Qualifications. Andrea has presented the Cancer Exercise Specialist Workshop across the U.S. and Canada and has been a guest speaker at IDEA World, CPTN Personal Training Conference, IRHSA, TSI Summit, Medical Fitness Tour, Kaiser Permanente Thriving with Cancer Conference, Winona State University – Survivors Unite, McHenry Community College, New York Institute of Technology, OHSU School of Nursing, Edwards Hospital, Georgetown University Hospital, Suburban/Johns’ Hopkins, Mennonite Cancer Foundation, South Georgia Medical Center, Cary Medical Center Lynchburg General Hospital, Chesapeake Regional Medical Center, Sibley Hospital, Memorial Hermann, Sandford Health System, Avera McKennan Prairie Cancer Center, Baptist Hospital East, Patricia Neal Rehab. Center, St. Mary’s, Baptist Health System, Southeast Georgia Cancer Coalition, and Fort Bliss Army Installation. Andrea has written 15 books on the subject of cancer and exercise and is a sought after speaker and author. She has contributed to PFP Magazine, ACE Certified, ACE Blog, NOU Magazine, Club Solutions Magazine, Bethesda Today, Capital Gazette, NASM’s Training Edge Magazine, Lake Oswego Review, Portland Tribune, The Oregonian, The Tidings inHealthOhio Blog and News, Capital Style, The Examiner, The Washington Post, Dallas Morning News, 4Wholeness.com, SpecialFit, and has appeared in countless videos including the Heartflex Breast Cancer Recovery video and been a regular fitness expert on AMNW. The Cancer Exercise Training Institute is considered the gold-standard of education on cancer recovery and prevention through exercise; and has trained more individuals than any other organization in the world.